Bandai Namco of America has confirmed in the afternoon the announcement of a presentation called Dragon Ball Games Super Showcase, where news related to the franchise is expected. 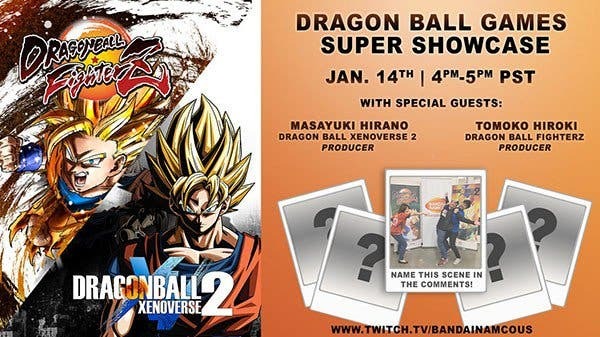 Living will take place on January 14th from 16:00 to 17:00 PT (from 1:00 to 2:00 January 15th in Europe), and it will share "good announcements, good news and good interviews with the producers of Dragon Ball FighterZ and Xenoverse 2". If you are interested, you can follow it on Twitch. What do you think? Do you think we can know about the location of Super Dragon Ball Heroes: World Mission?